Mushrooms are a must for all Australians, particularly seeing more than half of the Australian population will be vitamin D deficient at the end of winter. With winter coming to a close, more than half of the Australian population will be vitamin D deficient. The shorter days in winter mean our sunlight exposure is limited and as a result vitamin D levels are typically lowest at the end of winter. While 84% of Australians believe they can’t reach their vitamin D requirements through food, the truth is we can. 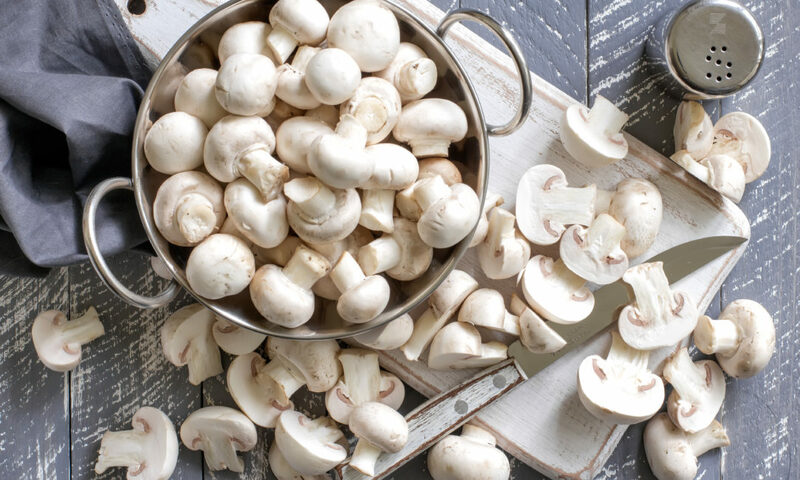 Figures released earlier this year in June found that one serve of mushrooms (100g or 3 average button mushrooms) provides 20-100% of an adult’s recommended daily vitamin D requirements. The new figures from the National Measurement Institute, on behalf of FSANZ, show one serve of store-bought mushrooms can provide 20% of an adult’s daily vitamin D needs. The new findings relate to earlier studies that show one serve of mushrooms left in the sun for an hour, as well as store-bought ‘vitamin-D’ labelled mushrooms, will provide 100% of an adult’s daily vitamin D needs. This is great news for the six in ten women and four in ten men who have likely to have developed vitamin D deficiency over winter. “Vitamin D plays such an important role in preventing serious health issues as well as maintaining a healthy immune function. Mushrooms are easy to enjoy daily and can help Australians get enough of this essential nutrients without concern of sun damage,” Glenn adds. With mushrooms being such a versatile food, you can add them to many of your favourite dishes, as well as this recipe for Thai Mushroom and Chicken Meatballs. Finely chop mushrooms by hand or alternatively, pulse in a food processor to finely chop. Heat 1 tbsp oil in a large non-stick frying pan over high heat. Add mushrooms and cook, stirring often, for 8 minutes or until all moisture has evaporated. Set aside for 10 minutes. Drain any excess moisture and transfer to a bowl. Wipe pan clean. Clean and cut two roots from coriander. Place roots into a food processor, add green onions and 1 cup coriander leaves. Pulse until finely chopped. 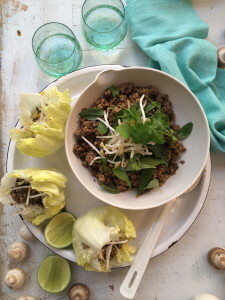 Add coriander mixture, mince, curry paste, egg and breadcrumbs to mushrooms. Mix until well combined. Shape 1tbsp of mixture into balls with damp hands. Place onto a tray, cover and refrigerate for 1 hour if time permits (this helps hold meatballs together when cooking). Heat remaining oil in a large non-stick frying pan over medium heat. Cook meatballs, in batches, shaking pan often, for 8-10 minutes or until just cooked through. Serve with lettuce leaves, sweet chilli sauce and lime wedges.